1854: China is riven by famine following droughts, violent upheavals, and the effects of opium addictions. The 2nd Opium War (1856-60) looms. Much of America meantime is only territories; the remainder is divided into slavery-free or slave-owning states. The Civil War (1861-65) is in the makings. Zhuhai's native son, Yung Wing, honored widely as the "forefather of overseas Chinese students," became the first student from China to graduate from an American university on Dec 21, 1854. A diligent student, he wasn't a bookworm though. At Yale, he sang in the choir, played football, was a member of the Boat Club, and won academic prizes for English composition. His quest from graduation onward was to help his country catch up with the West. What he achieved kickstarted modern China. Never to be forgotten, on the wall of the Hall of Fame at Yale University is a portrait of that Chinese man. The name Yung Wing also is engraved at the Gallery of Famous Personages of the China Millennium Monument. 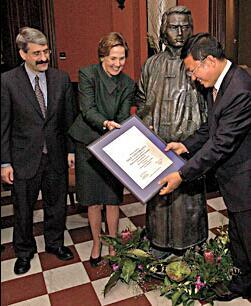 A bronze statue of alumnus Yung Wing was dedicated on Dec 21, 2004 as Yale celebrated the 150th anniversary of his graduation. Today the bronze, donated by the city of Zhuhai, stands outside the International Room of Sterling Memorial Library. At the 170th anniversary of Yung Wing's birth in 1998, the State of Connecticut declared September 22 -- the day the first Chinese boys attended school in the US – as the "Memorial Day of Yung Wing and Chinese Children." It was Yung Wing who had opened a new chapter in the history of Chinese overseas study by heading the Chinese Educational Mission through which 120 Chinese children were sent to study in America. 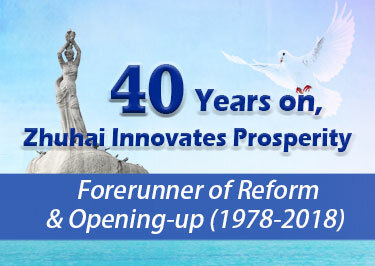 He regarded the practice of sending students to study abroad as "the hope of revitalizing China" and dedicated his entire life to this great cause. He spent 16 years achieving that goal. In concert with the 170th anniversary, Hartford City, where Yung Wing had once lived, and which is near his burial place, announced the Yung Wing Fund to support 500 overseas Chinese students in schooling. 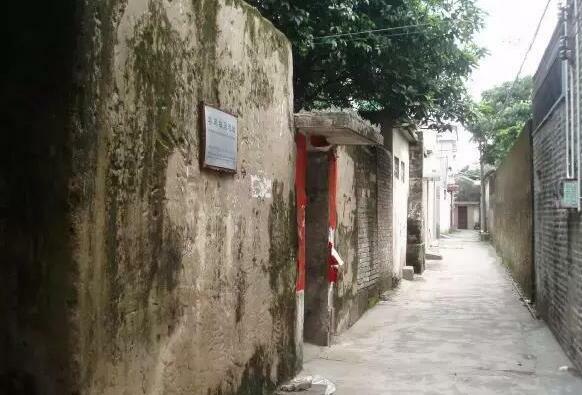 Yung Wing was born in 1828 in the village of Nanping of today's Nanping Town in Xiangzhou District, Zhuhai. The remains of his former residence, though only a broken wall after over a century, have been frequently visited. Descendants of Yung Wing, scholars from home and abroad, and offspring of the boys Yung Wing had brought to America come to seek roots or salute him each year. 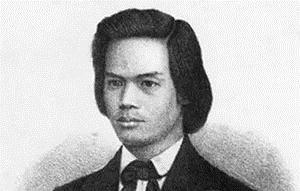 The elder Yung Wing, a Chinese farmer working to earn a living in the Portuguese colony of Macao, brought his 7-year-old son along to the Morrison School, headed by Yale-educated missionary the Rev Samuel Robbins Brown. 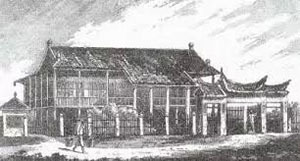 In 1842, the school moved to Hong Kong, taking Yung Wing along with it. Then Rev. 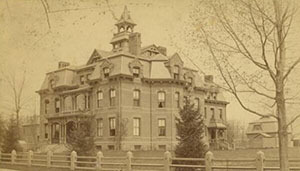 Brown took Yung to America in 1847 and enrolled him at Monson Academy in Massachusetts. He entered Yale College in 1850. Yung received his BA degree in 1854. In 1876, Yale awarded Yung an honorary Doctorate of Laws. Twelve years later Yung donated 1,200 volumes of books that became the core of Yale's world-renowned East Asian Library. Yale states that, "The relationship between Yale and China is both historical and intimate and its shared vision of education can be traced back to the work of Yung Wing." 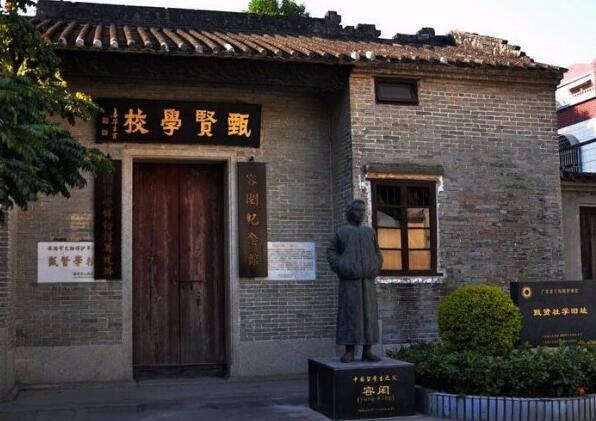 Back from America, Yung Wing built Zhenxian School (select the virtuous) in his hometown. 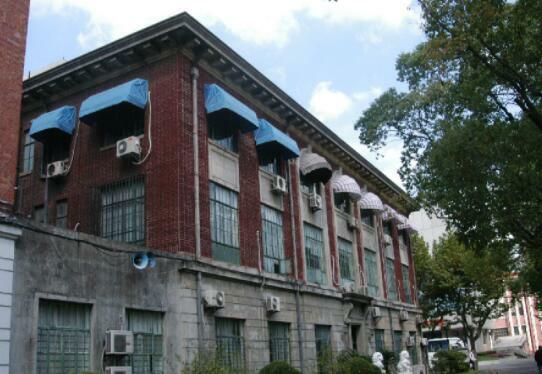 Although raised in the 19th century, the school is in good condition and is a cultural preserve of the Zhuhai government. It will serve as Yung Wing Memorial Hall. The school has fame in that it had opened access to the outside world by abolishing imperial examinations and embracing western learning. Its song goes: "What is the goal to educate villagers? It is the way to be true virtuous." Yung Wing wrote an English memoir titled "My Life in China and America," which was published in New York and has been translated into Chinese under different titles. 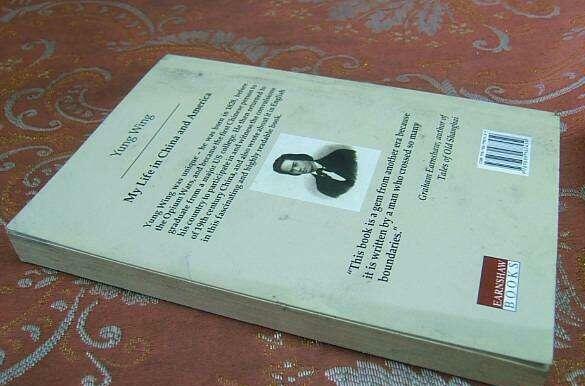 His wishes in the book were to make China a more enlightened and prosperous land. 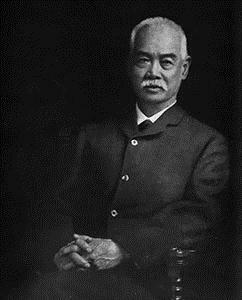 Key to his mission, Yung Wing had to convince the Qing government to launch the Chinese Educational Mission (CEM). Rewarded in 1872, he went to coastal provinces in person and selected four detachments totaling 120 students ranging between 10 and 16 years old. The first detachment received training in Shanghai where Jiao Tong University was given birth. The university set up a Memorial Hall of Yung Wing and raised a bronze statue in 1933. Yung Wing distributed the students among New England families where they could adjust to culture change more quickly. 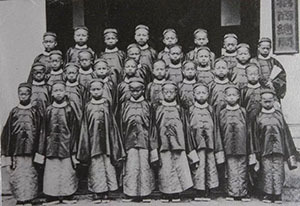 Upon their graduation from middle schools, Yung arranged them to study politics, law, education, mining, and machinery to absorb western learning. Yung next erected the Chinese Education Commission (CEC) building in Hartford. The facility, serving as headquarters, provided classrooms and boarding for Chinese students. Not stuck in Hartford, the students attended the Centennial Exhibition in Philadelphia at which samples of their homework won merit awards from the Board of Jury in the Educational Pavilion. Their accomplishments even drew the attention of President Ulysses S Grant, who hosted a special reception for the Chinese students. China benefited greatly from the Chinese Educational Mission, which resulted in Jeme Tien Yau (Zhan Tianyou), the Father of Chinese railways; Tong Shao Yi (Tang Shaoyi), first premier of the Republic of China; Woo Yung Tsang (Wu Yangzeng), first mining expert; and Tong Kwo On (Tang Guo'an), first president of Tsinghua College. Other prominent alumni of the mission included two foreign ministers, two navy marshals, two university presidents, 18 naval leaders, nine mining experts, 14 engineers, and four doctors. Their names are inscribed in the monument. Continuing his memory, the Zhuhai Chinese Overseas Study Museum is planned alongside the Qianshan River in Nanping. 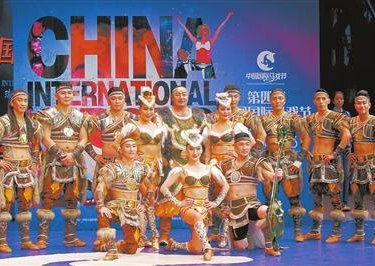 The layout constitutes Rong Hong Square, a building cluster for the museum; China Dream Square for returned overseas Chinese startups; and Rong Hong Avenue for incubators of cultural industry businesses. 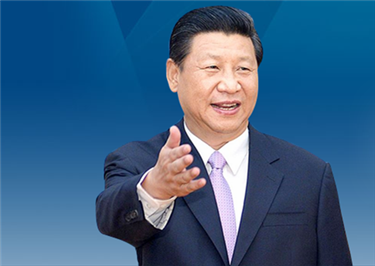 They are to support western science coming into China and the use of it for national development.